Our purpose is to improve Göteborg. It doesn’t lower our ambitions on the pitch. We are and shall always be in the top flight. The huge love and support we get from our fans deserve nothing less. But, titles aren’t enough for us. We are much more than a successful football team. We give girls and boys the chance to play football, from their first kick all the way up to junior level. 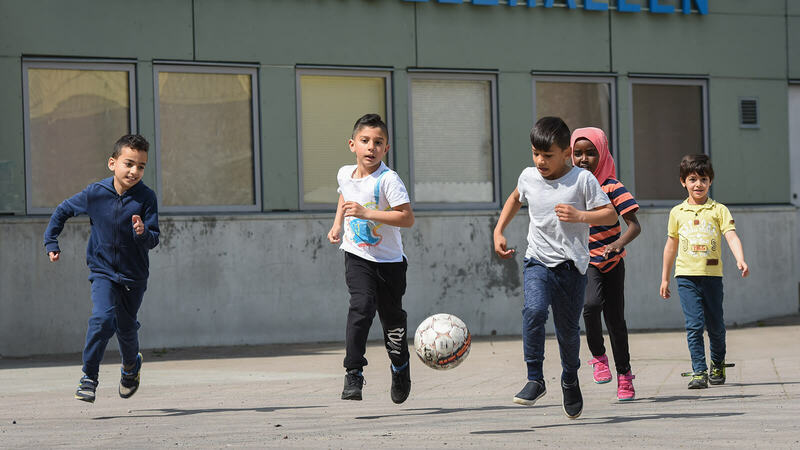 And, we run a number of community schemes that bring joy, hope and integrate people all over Göteborg. We constantly aim to be competence leader, on and off the pitch. An important part of our everyday business revolves around thinking about and daring to tread new paths, not the least when it comes to commercial and social challenges. Our core values are conviction, pride, passion, comradeship and ‘a winning mentality’. These apply to everyone that works for us. While they don’t allow us to promise gold and glory every season, they do allow us to make this promise: IFK Göteborg will always fight to the final whistle. Then we keep fighting. It started in a cafe in Gothenburg in 1904 and it will never end. Or to quote one of the greatest in the blue-white history, Bertil “Bebben” Johansson, “Blue-white never dies”. The question is if Arthur Wingren, John Säwström and the others at Café Olivedal that fateful October day in their wildest fantasies could have imagined what was to unfold as a consequence of forming comrade association XXXIX. Like IFK Göteborg becoming Swedish champions for the first time, only four years later in 1908. That an athletic boy from Surte by the name of “Black Filip” Johansson would become the Swedish league’s first goal king between 1924-25 by scoring 39 goals, a record that has yet to be surpassed to this day. That 52 194 spectators – a Swedish record – would sit on the bleachers at Ullevi on a summer day in 1959 to witness the derby between IFK Göteborg and Örgryte. That IFK Göteborg one year (1969) would become Swedish champions only to leave the highest series altogether the following year (1970). That one of the world’s most famous Swedish footballers, Sven-Göran Eriksson, would start his top career as a coach in a blue-white association. That IFK Göteborg in 1982 would score a hat trick by winning the Swedish Championship, the Swedish Cup, and the UEFA Cup. 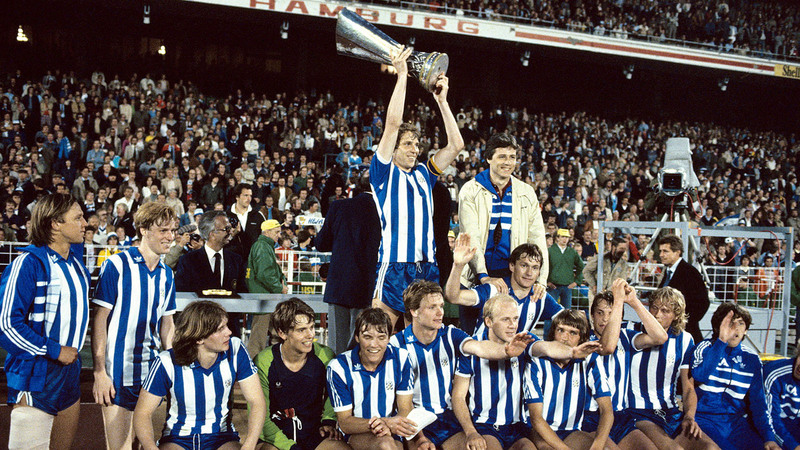 That a Swedish club team for the second time in 1987 would win the UEFA Cup. That a Swedish club team on four occasions in the 90’s would reach the Champions League, thus letting Manchester United and Barcelona fight for the second spot after the clear group winner Blue-white. That guys like Gunnar Gren, Torbjörn Nilsson, Glenn Hysén, Glenn Strömberg and Thomas Ravelli would grow to become world class players in IFK Göteborg. That Gunnar Larsson during his 20 years as chairman (1982-2001) would enjoy 10 Swedish Championship gold wins alongside the international victories. 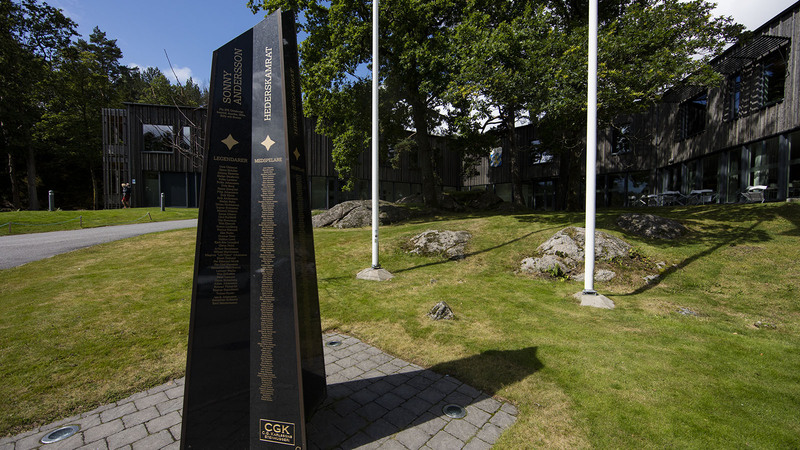 That the first Kamratgården in the Delsjö area would be built in 1961 and be followed up by a more modern and contemporary facility in 2012. That the most dedicated fans would develop a supporter culture that is the best and most colourful in the country. That the association would be referred to as “The People’s Team”. It all started in a café in Olivedal on October 4 1904. It will continue until the end of time. Number of Swedish Championships won: 18. Number of Swedish Cup won: 7. Number of UEFA Cup won: 2. Participation in the Champions League: 4 (1992/93, 1994/95, 1995/96, 1996/97). Most matches played in the Swedish league: Bengt ”Fölet” Berndtsson, 348. Most goals scored in the Swedish league: Filip ”Svarte–Filip” Johansson, 180. Most A-team matches played: Mikael Nilsson, 609. Most A team goals scored: Filip ”Svarte–Filip” Johansson, 333. For a comradery association with a strong bond to the city and a strong brand with many supporters comes a great responsibility. Gothenburg is a segregated city facing major challenges. The feeling of security, belief in the future and participation varies greatly throughout Gothenburg. Different actors in Gothenburg need to work together, if we are to successfully unite the city. How are we going to succeed? With football as a tool, we will help to break barriers to increase the sense of participation, security and improve the health of the city’s inhabitants. That’s what ”IFK Göteborg in the community” is about. Gamla Ullevi is our stadium and Kamratgården is our training ground. Visiting address: Ullevigatan 5, Göteborg. Postal address: Box 349, S-401 25, Göteborg, Sweden. Stadium capacity: 18 000 spectators. Three clubs and one national team share the stadium. IFK Göteborg, Gais and Örgryte IS play their home games in one of the most friendliest stadiums in Sweden. It is also the national stadium for women’s football. The Alliance between the three clubs is unique. 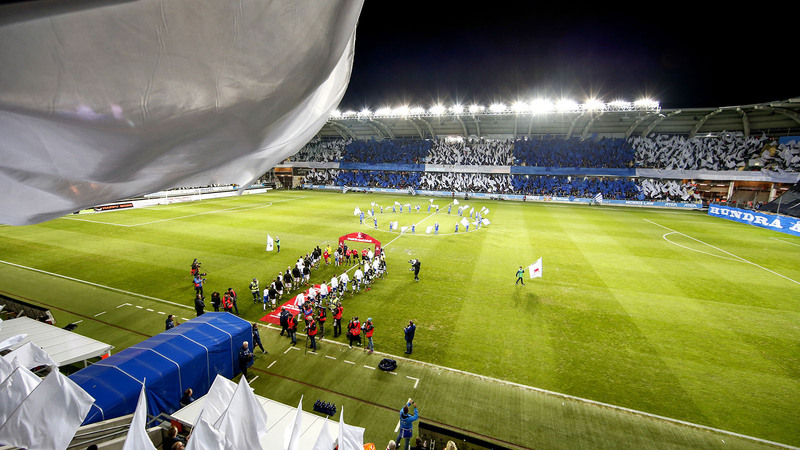 Nowhere else in the Nordic region do three so successful clubs share a stadium. In addition to the three clubs and the national team the arena hosts the world’s biggest youth tournament – Gothia Cup. The U21 European Championship in 2009 was also played at Gamla Ullevi. Sports aside, we will do everything to ensure that the stadium is the friendliest stadium in Sweden. Both devoted supporters and families will be able to enjoy football here. IFK Göteborg´s club and training center opened on the first of October in 1961. Kamratgården is beautifully situated in the recreation area surrounding the Delsjö lake. The facility accommodates the administration office and training grounds for the first team as well as the youth team. The sport center was totally renovated in 2011. At present there are two full size pitches on the training ground, one with hybrid grass. There’s also an indoor pitch with artificial grass. Indoors the facility accommodates a fully equipped gym and a restaurant for the staff/personnel and players. Once a year a gathering with social activities is arranged for players and members. It is possible for other clubs and associations to make educational visits to Kamratgården. They will be guided by Donald Niklasson, a player from the gold team of 1969. 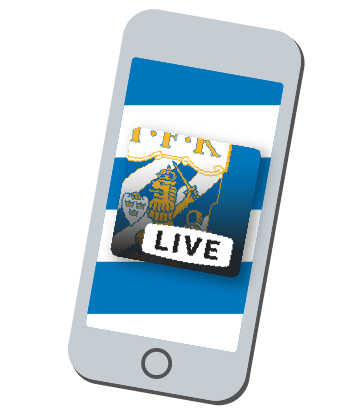 Buy your tickets to the games with IFK Göteborg online here. 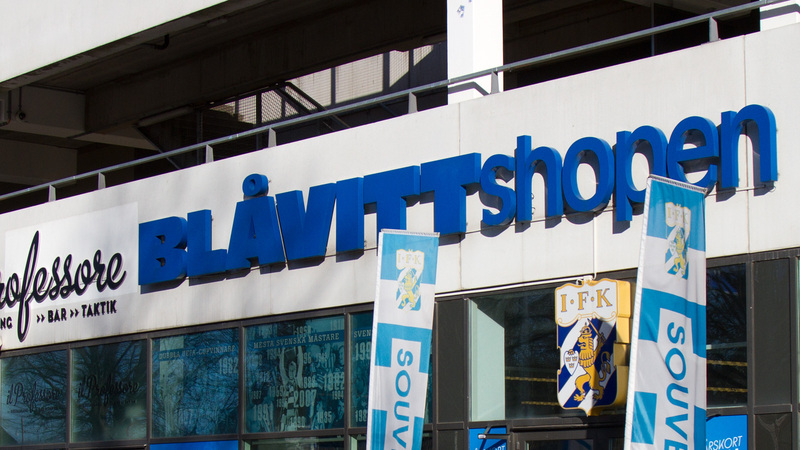 It’s also possible to buy the tickets in our official store Blåvittshopen at the stadium Gamla Ullevi. Buy your merchandise in our official store. 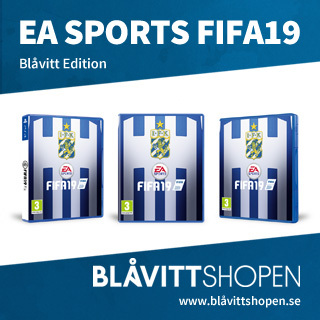 Visit the store at stadium Gamla Ullevi. Contact information for IFK Göteborg. Fredrik Wallin, Sales Manager, phone: +46-31-703 73 11, email: fredrik.wallin@ifkgoteborg.se. 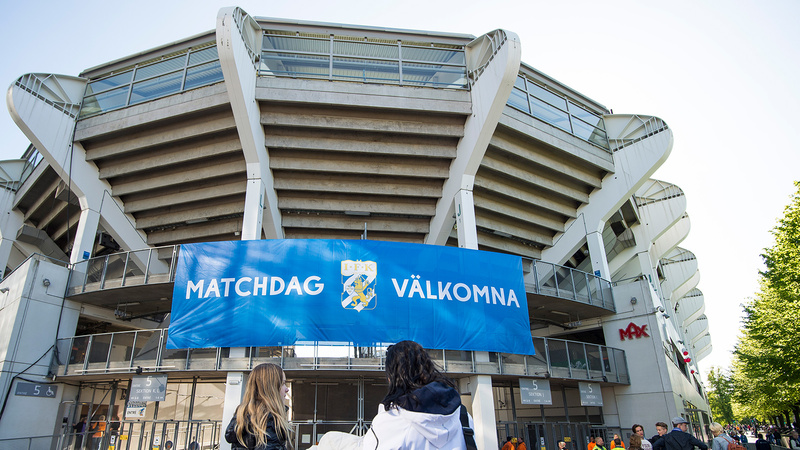 Media credentials can be requested by email: ackreditering@ifkgoteborg.se. You must be an accredited member of the media on assignment to be considered. Please contact scouting@ifkgoteborg.se regarding access to tickets. Jonas Olsson, Academy Manager, phone: +46-31-703 73 02, email: jonas.olsson@ifkgoteborg.se.